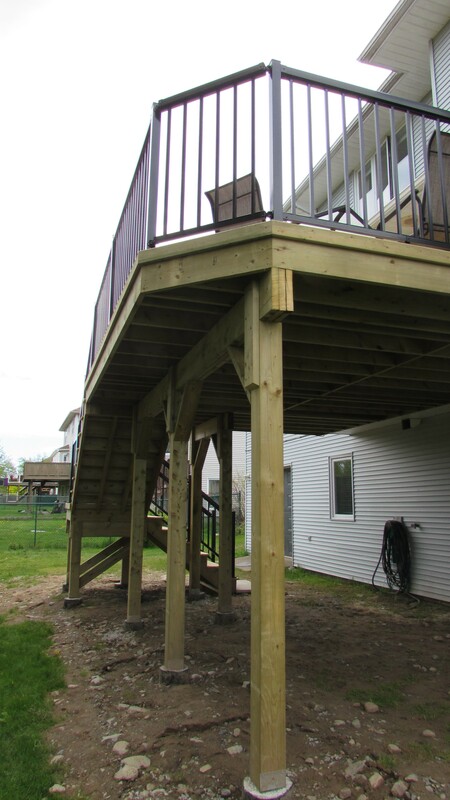 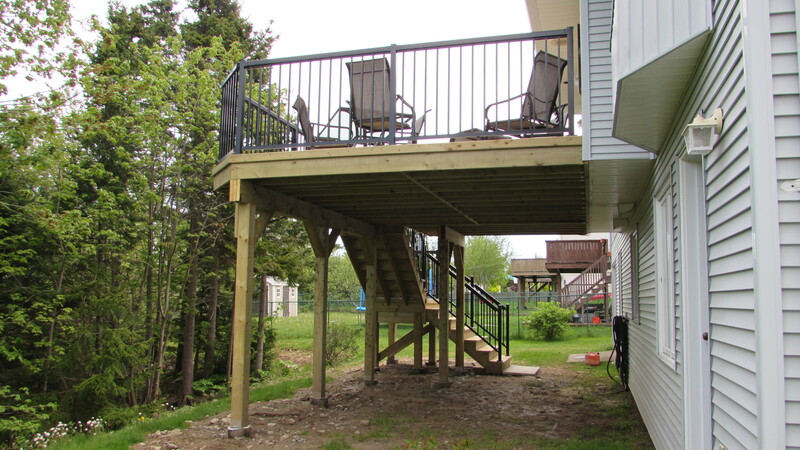 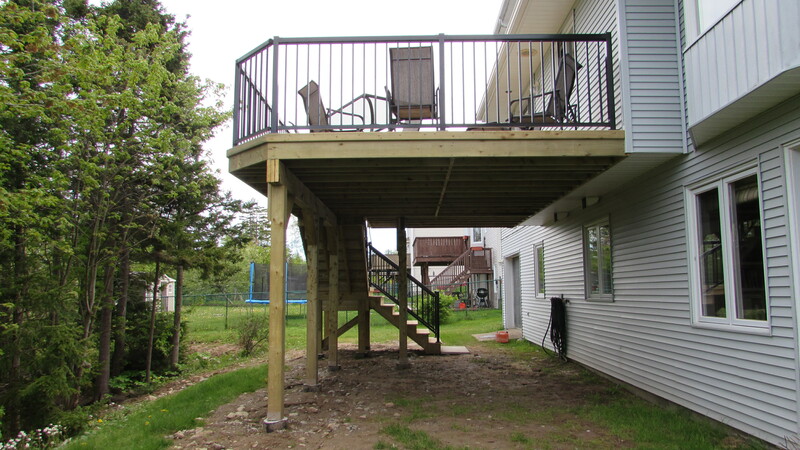 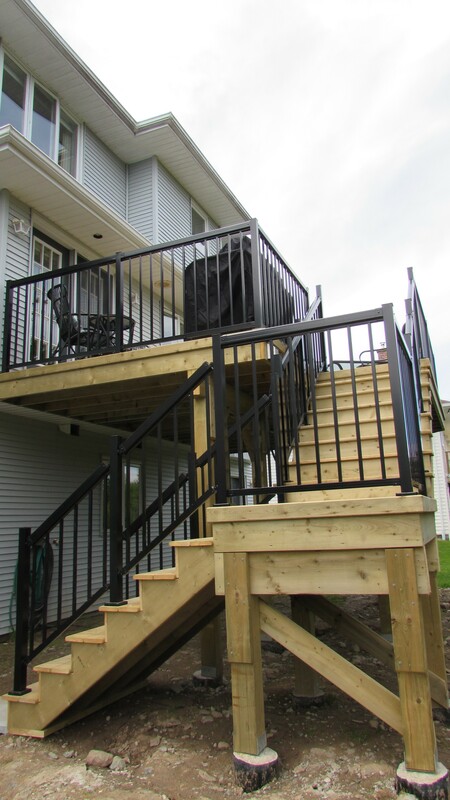 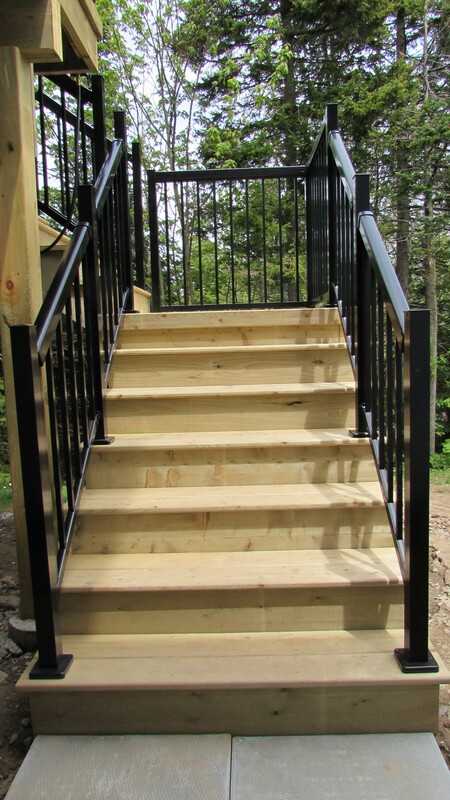 This deck was built with pressure treated wood and Regal aluminum railing. 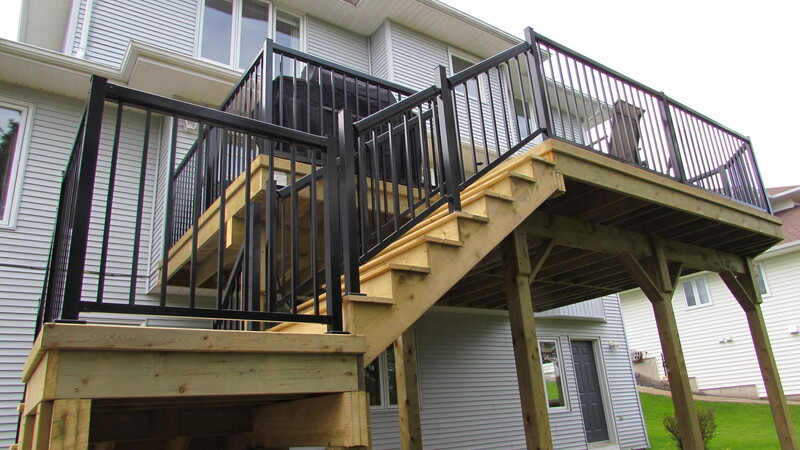 Homeowners love that Regal railing systems look new for years. 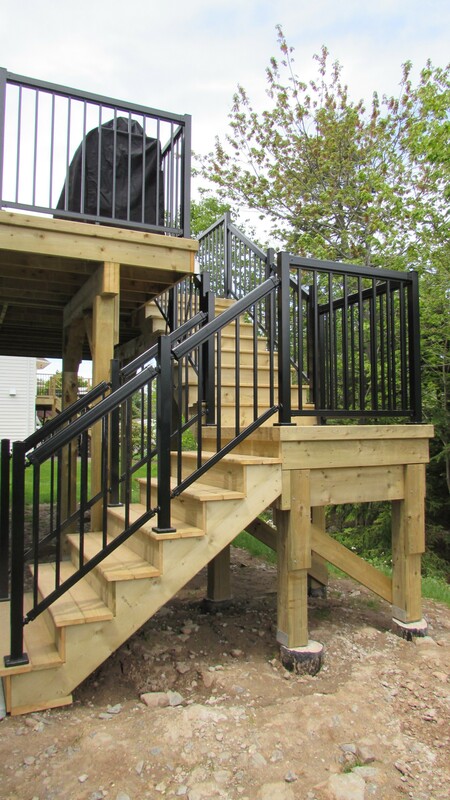 The black shines bright against the beautiful wood giving an elegant finish to a beautiful deck.